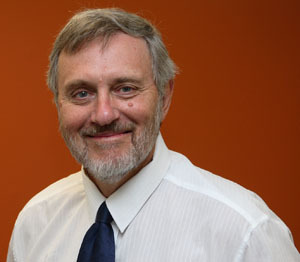 CDU Deputy Vice-Chancellor, Research and International, Professor Bob Wasson. The quality of research at Charles Darwin University has again been recognised. CDU is among a select group of new and technology-focused universities that recorded the fastest growth in research papers in Australia at more than 14 per cent a year. The national share of research papers attributable to older universities has fallen by almost two per cent, according to the analysis by the University of Melbourne's Ross Williams. CDU Deputy Vice-Chancellor, Research and International, Professor Bob Wasson said the figures highlighted both the productivity of the university’s researchers and the high quality of their work. “The university continues to be recognised for its research expertise particularly in Indigenous knowledge and tropical and desert knowledge of the Australian and Asia-Pacific region,” he said.